I often get asked, “What is the single most important thing you can do to improve your diet?” My simple response sometimes surprises. Embrace cooking at home and family meal time. In our crazy world, having a weekly meal plan can make this possible, and save a lot of time and hassle during our weekly swamp of commitments. It is the key to making our nutrition a priority and eating mindfully. And while that sounds great, it is sometimes hard to know where to start, or how to get it to become routine. Summer is really whipping by. I blinked and school supplies are now back in the stores. I’ve said this before, but the start of school really seems like New Years Day to me. It is a great time to start some new habits that you can maintain with a more hectic schedule, and when I think about it, meal planning solves a lot. Everyone KNOWS it can be helpful, but everyone knows this isn’t a perfect world where time is plentiful. I have been known to keep a day or so of meal ideas crammed inside my jumbled brain, or just resort to take out because too much other brain stuff got in the way. Or maybe if I’m doing good, I scribble some meals on a Post-It. And that’s OK, because it gets dinner on the table…usually. 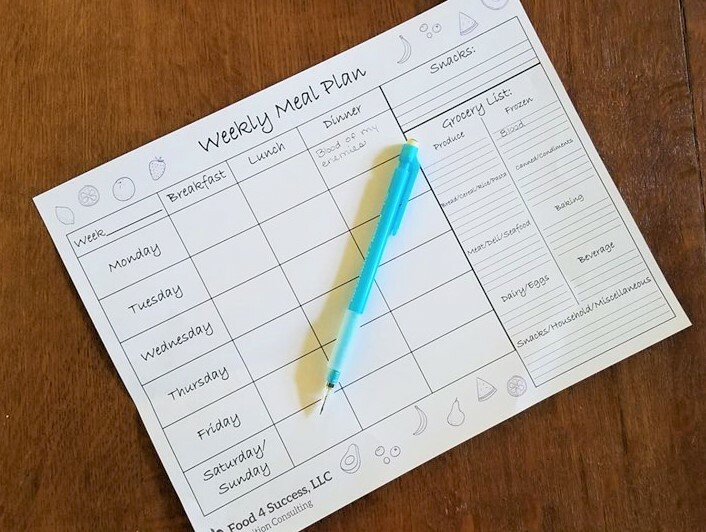 This is why I have created a nifty weekly meal plan template you can download at the end of this post, that stream lines what you want to eat and the corresponding grocery list so you can tackle your week head on. I have also reached out to some of the best of the best dietitians out there to share their meal planning hacks that make things oh so much simpler and keeps the whole family on a healthier track. Maybe you will find something that clicks for you! As promised, here is your nifty free weekly meal plan template for you to download. Print a bunch and slap them on a magnetic clipboard on your fridge. You can take a few minutes plan your meals at the beginning of the week, then organize your grocery list. If you’re having trouble, start with planning just dinners. And if you’re struggling for inspiration, pick a meat/protein you feel like having and google recipes. I also have lots of recipes in this blog to check out too. You will be king/queen of the world feeding your family right and increasing that family bonding time. Maybe you’re born with it, maybe it’s super powers, maybe it’s….meal planning!! Great tips for simple meal planning! 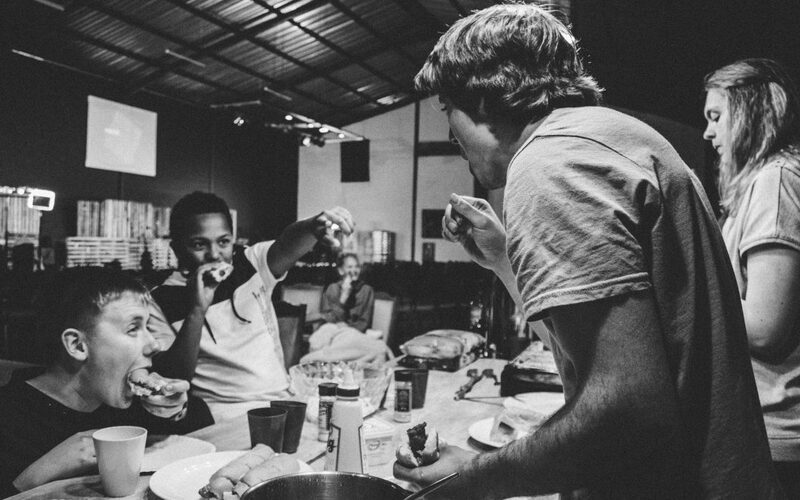 I love the (sometimes) chaos of family meals, and even though only our youngest is still at home, we still make keep the habit of enjoying at least one meal togethr as a family most days of the week. Love this post. That is so important! Thank you for your kind words. You are so kind Whitney! Thank you. Love a good meal planning template. This is great! This is full of so many tips, I especially like the one about eating at home with family! It’s a great way to save money and get creative while spending quality time with the ones you love.